Due to its straight connection to the cloud-based BIM platform Allplan Bimplus, Allplan 2018 becomes in a complete BIM solution that brings the potential for the building industry with the aim to raise the BIM collaboration level to a new level. Optimisation of the ease of use, along with several brand new functions, improves the planning quality and secures the planning quality and ensures the users to remain competitive in a changing market environment. With the new Allplan 2018, we make sure to provide the engineers and architects with the innovations needed for a successful BIM implementation in the projects of tomorrow. The program provides the potential for the AECO sector to raise new collaboration levels. Because of that and the rapid global adoption of BIM, it is possible to meet requirements and the standards requested by the market. Allplan enables architects and engineers to become more productive than ever before. -New level of achievement for the teamwork because of the improvement of the IFC4 data export: IFC4 provides a batter data transference in BIM projects and simplifies the decision processes with the parties involved in the construction. -The Allplan Share and Allplan 2018 option allow architects and engineers to get benefit from a straight collaboration with partners from all over the world with all and the same data. -Users can handle the exchange of several pieces of information in BIM projects using the combination of both Allplan 2018 and Allplan Bimplus. The use of Allplan Bimplus allows users to establish information such as attributes and then the use of it in different systems through the whole entire lifecycle of a building. -Allplan 2018 includes a new labeling function for a consistent correct labeling of sections and views in a short time. Because of the linked information with the BIM model, all the changes will be automatically updated in all the sections viewed and linked with the model. -The new brand Actionbar allows the user to quickly find the tool needed for the respective task. The bar is organized according to different tasks and roles so the functions of groups, such as for modeling or reinforcement, are available in a clearly arranged toolbox. 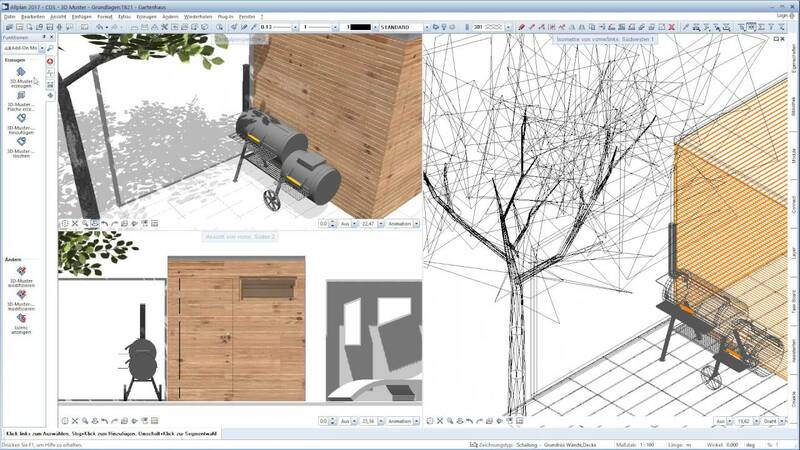 Undet4SketchUp V2.0 Release - What's New?